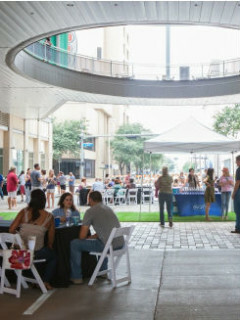 Visitors to GreenStreet will feel as if they’ve been transported to a biergarten in Germany as GreenStreet partners with local breweries and restaurants to bring a unique German experience to the Bayou City. With proceeds benefiting local nonprofit Young Texans Against Cancer, this community event will feature local craft beer, live music and a variety of food and games. $25 for Young Texans Against Cancer members; $30 for general admission.